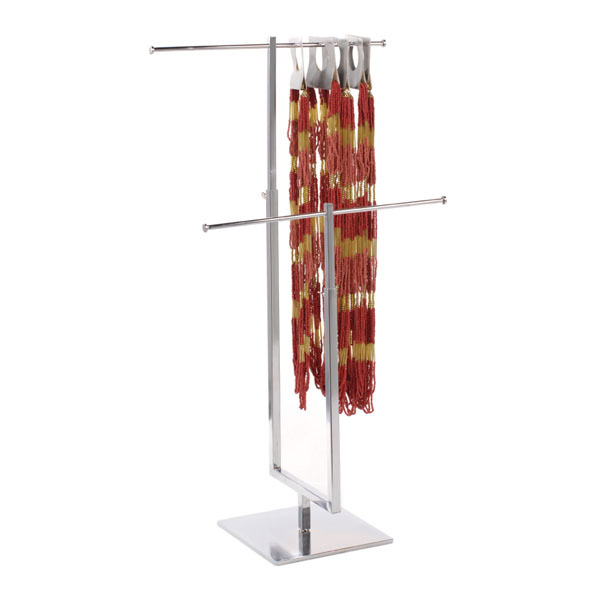 Display your necklace selection using our 2 Tier Chrome Necklace Stand. 13 in. wide T bar is height adjustable, making this display perfect for showcasing necklaces of varying lengths. First tier height adjusts from 14 to 23 1/2 in. and the second tier height adjusts from 19 to 28 1/2 in. 6 1/2 in. between tiers.